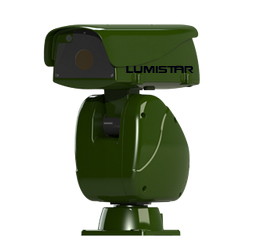 The Lumistar R5 Heatseeker features an ultra-compact, rugged high-resolution thermal imaging camera complete with multiple connectivity interfaces and a ThermalShield enclosure. With a compact and lightweight design it can be mounted in hard-to-get-at locations. The Lumistar R5 is available in RJ-45 Ethernet models and can be used for individual or networked (multiple camera) installations. Each Lumistar R5 can be assigned a unique IP address, allowing it to be addressed via its network interface. This provides instant access to the Lumistar R5 images by authorized users via LAN, WAN, or the Internet using a web browser. The camera can also be configured via a network.